"Mosquito Free Hammock Bliss combines high quality materials with exceptional comfort to create the ultimate pest free hammock experience. 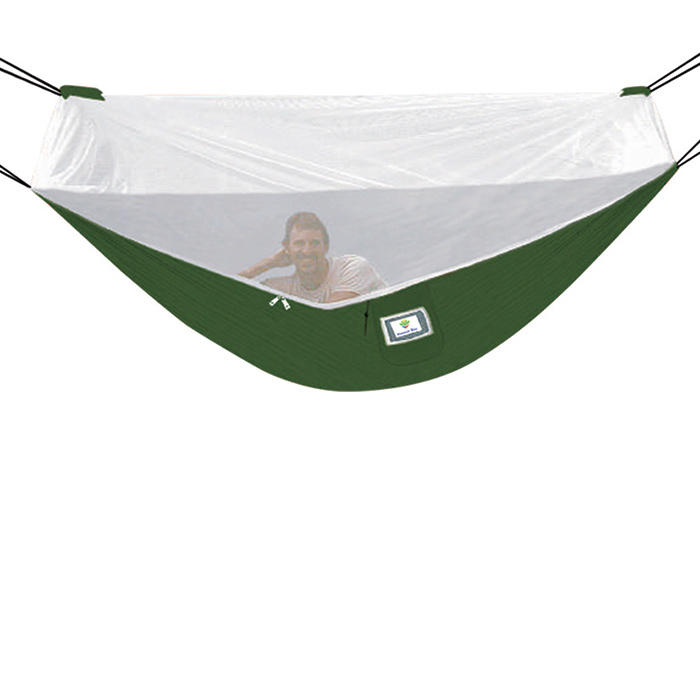 The white mosquito netting is constructed of quality nylon and is attached to the entire length of the hammock. This hammock is also completely reversible so when bugs are not a problem just flip it over. Attach a rain fly above this hammock for mosquito and rain proof sleeping system.